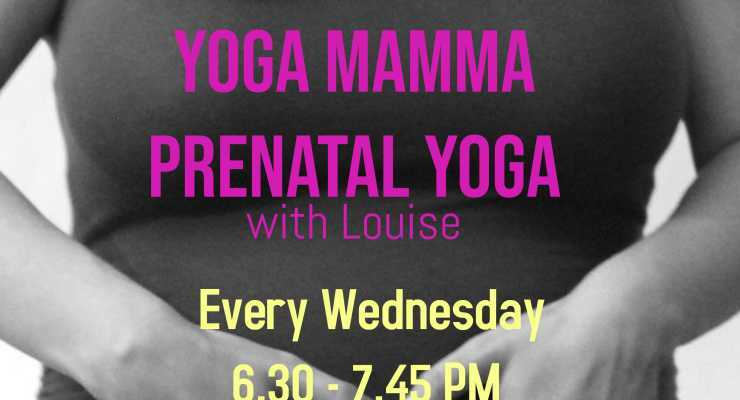 Yoga Mamma (6 wks) 6.30pm to 7.45pm. If you are looking for a great way to maintain your strength and tone while pregnant, then you will love my yoga sessions. You will learn skills to release tension, breathe well, quieten your thoughts, sleep better and feel more calm in preparation for birth and motherhood. Especially perfect for baby number 2+. It’s yoga (and more!) that is supporting, nourishing and sensitive to a woman who is pregnant! It's all about helping you to practice self-care and keep physically and emotionally strong while you're pregnant and importantly post-birth and into motherhood. Your only pre-requisite is being12 weeks in your pregnancy. I've been doing this for 7 years so you’re safe with me, I can accommodate injuries and you will feel the difference. Don't worry if you haven't done yoga before, you will feel safe and everything is explained slowly. $120 for 6 weeks. Can join anytime and casual OK.
For enquiries email Louise on yogamamma40@gmail.com. Or call on 0447 891 381.